SWAN CHAISE LOUNGE, SIZE (LXBXH) 180x72x90 IN CMS APPX. MARBLE DUST KRISHNA SIZE(LXBXH) 17X10X41 IN CMS.WEIGHT 3 KGS APPX. 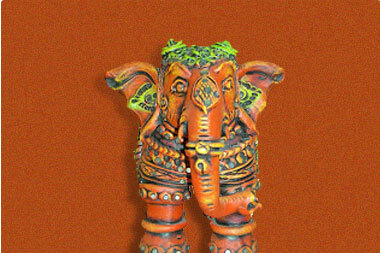 MARBLE DUST GANESH SIZE(LXBXH) 19X12X44 IN CMS.WEIGHT 4 KGS APPX. BRASS GANESH STONE WORK (Size lxbxh) 23X15X30 cms Appx.Weight 6.5 KGS. BRASS HANUMAN STONE WORK (Size lxbxh) 20X14X31 cms Appx.Weight 6.9 KGS. 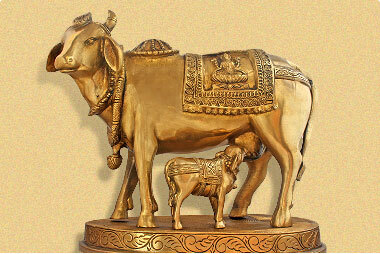 BRASS GANESH STONE WORK (Size lxbxh) 25X18X32 cms Appx.Weight 8 KGS. BRASS GANESH STONE WORK (Size lxbxh) 18X14X31 cms Appx.Weight 6.95 KGS. BRASS GANESH STONE WORK (Size lxbxh) 23X19.5X31 cms Appx.Weight 7.7 KGS. BRASS BUDHA STONE WORK (Size lxbxh) 23.5X19X27 cms Appx.Weight 3.28KGS. 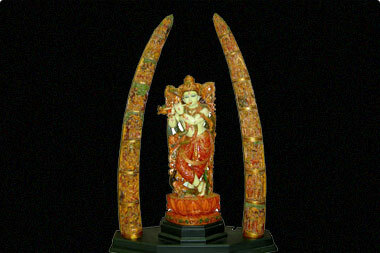 BRASS LAKSHMI ON TUSK (Size lxbxh) 7X7X19 cms Appx.Weight 1.5KGS. BRASS GANESH (Size lxbxh) 5X4X7.5 cms Appx.Weight 0.22KGS. 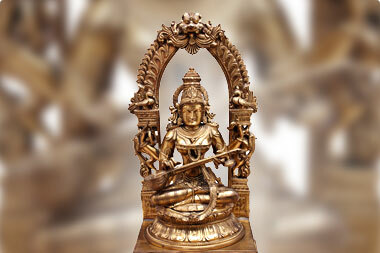 BRASS LAKSHMI (Size lxbxh) 5X4X7.5 cms Appx.Weight 0.22KGS. BRASS GANESH ON TUSK (Size lxbxh) 7X7X19 cms Appx.Weight 1.5KGS. BRASS GANESH ON MOUSE (Size lxbxh)16X8.5X21 cms Appx.Weight 2.51KGS. OIL PAINTING ON CANVAS ASSORTED (SIZE LxBxH) IN CMS - 99X3X69 CMS. BRONZE TRIBAL FACE HOOK (SIZE LXBXH) 12X5X18 IN CMS APPX.WEIGHT:0.60 KGS. BRONZE JALI WORK TORTOISE (SIZE LXBXH) 16.5X10.5X4 IN CMS APPX.WEIGHT:0.30 KGS. BRONZE SUN MASK (SIZE DIAMETERXHEIGHT) 15.5X3 IN CMS APPX.WEIGHT:0.36 KGS. 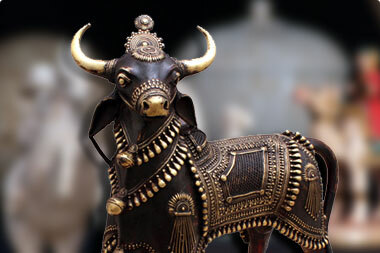 BRONZE TRIBAL FRAME (Size LxBxH) 26X2X30 CMS Appx.WEIGHT:0.57 KGS. BRONZE VISHNU (Size LxBxH) 12.5X11X34 CMS Appx.WEIGHT:4.35 KGS. Good choice of items and good value for money. It is a pleasure to walk through this treasure house. I will definitely make some purchase next time. Simply great !! Couldn’t take off my eyes from the sculptures. Very selective & unusual as always , Courteous staff. Terrific experience, Lovely ambience !! Feels like Alladdin’s cave so many treasures that one wants to posses. Comprehensive collections and excellent customer service. Excellent collection and rare varieties.